Bhadrachalam is a pilgrimage town in the Bhadradri district of Telangana and is mainly visited by Hindus devotees and seasonal tourists. But do you know there is a lot more to its beauty which can be savoured and cherished? Yes, apart from historical and religious sites, it is also home to several natural places where you can take a walk amid stillness and calmness. Therefore, Bhadrachalam makes for a memorable weekend getaway. So, if you are looking for an interesting destination to spend your weekends, then you must consider planning a tour of Bhadrachalam. The beauty of this small town will assuredly compel you to visit it again and again. Well, let's learn in detail about a trip from Hyderabad to Bhadrachalam. Bhadrachalam lies in a belt of an extreme type of climate, and hence it experiences a hot weather during the summer season. The best time when the surroundings are eye-soothing and climatic conditions are acceptable is from October until the end of February. By Air: If you desire to travel by air, then you can take a direct flight from Hyderabad to Rajahmundry and then from there, you can either hire a direct cab or use the public transport to reach Bhadrachalam. The distance between Rajahmundry and Bhadrachalam is 201 km. By Rail: Bhadrachalam doesn't have its own railway station, and therefore, you cannot reach it directly by rail. However, you can catch a train from Hyderabad to Dornakal and then from there, you can hire a cab or take a bus to reach Bhadrachalam. The distance between Dornakal and Bhadrachalam is 106 km. By Road: Being a pilgrimage town, Bhadrachalam is well connected to Hyderabad and all other cities by road. As route 1 is the fastest and will make you reach Bhadrachalam within 6 h 30 min, i.e., 1 h lesser in comparison to the other routes, it is the preferred route. On your way, you can take breaks at the following destinations and learn about their beautiful attractions and charming environment. The historic city of Nalgonda is located at a distance of about 100 km from Hyderabad and 231 km from Bhadrachalam. It certainly deserves to be your first en route stoppage considering the fact that it houses several interesting attractions. As per records, the town is said to have been in existence since the early Medieval Period. The most significant places you must visit here include Devarakonda Fort, Lateef Saheb Dargah, Kulpakji Temple, a 2000-year-old shrine and Gautam Buddha Museum. Another wonderful en route destination where you can take a break and enjoy a few historical as well as natural sites, Khammam is located at a distance of about 195 km from Hyderabad and 116 km from Bhadrachalam. It is located on the banks of the Munneru river and is known for Khammam Fort and Lakaram Lake. Once you are within the boundaries of Bhadrachalam, you can visit the following places which are of great importance to locals and tourists. Bhadrachalam is located at a distance of about 310 km from Hyderabad, and hence it is easily accessible by road. Read on to know about tourist attractions in Bhadrachalam. 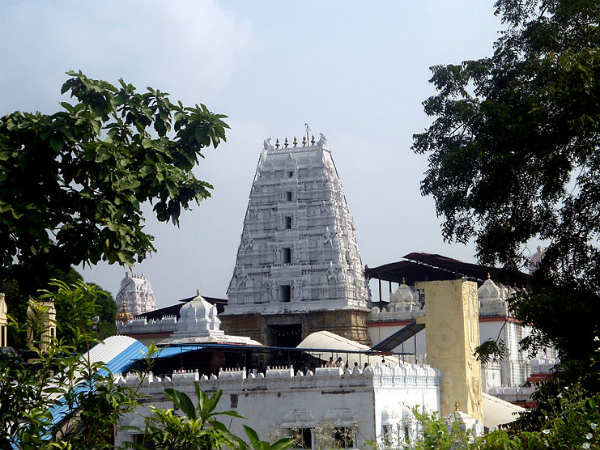 The most significant of them all, Sita Ramachandraswamy Temple is a pilgrimage site in Bhadrachalam and is visited by thousands of tourists every year. Such is its popularity that it has become a synonym to Bhadrachalam over a period of time. The temple is dedicated to Lord Rama and is located on the banks of the Godavari river. It is believed to be the site where Lord Vishnu appeared and gave his divine sight to one of his devotees named Bhadra. Parnasala is a beautiful village at a distance of about 35 km from Bhadrachalam and is believed to be a place of great religious importance. After all, it is the site where Lord Rama spent several days during his exile. The region in and around Parnasala is also known for its peaceful atmosphere. If you are looking forward to taking a break from the tourist crowd of Bhadrachalam and savour its relaxing atmosphere, then do not forget to visit the beautiful banks of the Godavari river. These river ghats are all set to pacify your mind and soul. Apart from the above-discussed places, you can also visit Abhaya Anjaneya Temple and Yoganda Narasimha Temple here. Other things to do here include exploring the architectural beauty of the temples.